I am not particularly fond of my hair because they give me the most trouble. I feel like I am having a bad hair day, everyday. Let's be fair, no matter how much your makeup is on on fleek, if your hair is a mess then its just not 100% satisfying. However, some shampoos (and conditioners) do help me sustain enough volume to boost my confidence. 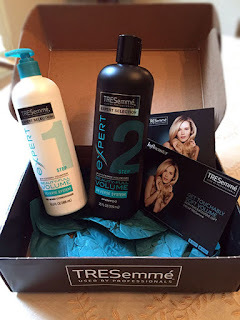 One of those brands that I have become a fan of is Tresemme. There is also an interesting twist with the new variant where they encourage "Reverse Wash". Say what? Read on and I will tell you the wonders of this routine. One of the best hair brands to date, I have been using Tresemme for years now. The recent new Tresemme shampoo and consitioner, it seems, is just made for me. My hair is fine, flat and wavy. I can get away with nourishment but it takes a lot of effort to add volume to my super dead looking tresses so this new variant from Tresemme was a godsent. I was sent the new shampoo and conditioner through Influenster VoxBox to test, and I did with pleasure. "Volume seekers tired of being left with stiff, crunchy hair can rejoice thanks to this revolutionary reverse wash system! TRESemmé’s Beauty-Full Volume is rewriting the rules of voluminous hair by reversing the traditional haircare routine. Condition FIRST to soften hair, then shampoo to wash away weight. Your hair is left hair smooth and polished, but still full of bounce. Who says you can't have it all?" This was my very first time trying the Reverse Wash routine where you condition first and then shampoo. If you really think about it, it is sort of like oiling your hair (which is conditioning) and then washing it later. I have never felt the need to use conditioner after I wash my hair when they are oiled. 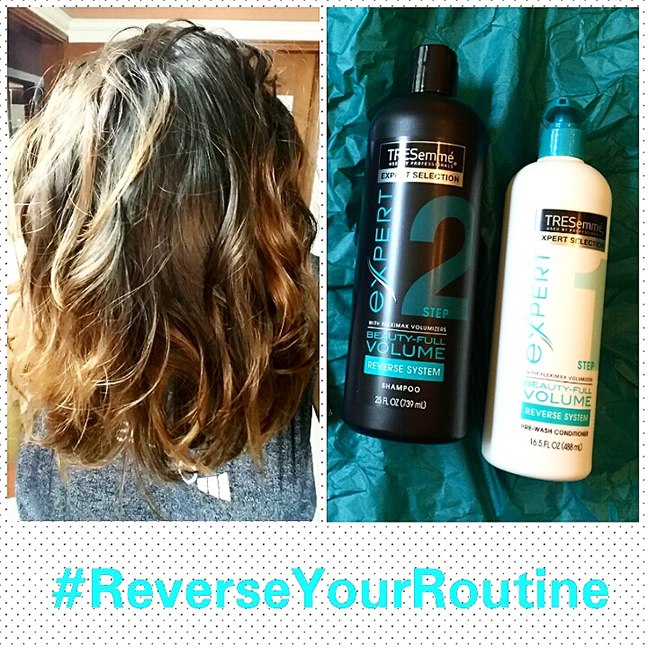 This may be similar to the reverse wash routine. The reverse routine is recommended specially for hair that is oily, thin and prone to getting product build up. The process is quite simple, you use the conditioner first, leave it on for a bit and then wash off with the shampoo. This variant can be used the normal way as well. Step 1: Condition to soften: The conditioner nourishes by prepping it for the volume as well as creating a layer that smoothens and softens the hair. Basically, it contains fleximax volumizers and fiber polishing actives which binds your cuticles making them healthier and softer. I love the smell of this conditioner. Its sweetly fresh and very pleasant. It has a creamy texture which is not very thick. Apply a little amount to wet hair and leave for a minute. This will take some time to getting used too, considering we are always doing the lathering first. Step 2: Wash off for Volume: The shampoo washes away the excess weight and grim while adding volume to your hair. The scent is delicious. It has a particular sweetness but not completely fruity. A little amount of this thick, liquidy formula is enough for your hair as it foams up well. It also tames fly aways and static hair. In the end I was left with soft, smooth and bouncy hair which obviously led to a very happy me! This shampoo is easily available online as well is major superstore in many countries, including Pakistan. It originally retails at approx $5 for 25 full oz, which is very pocket friendly.